Tesla started production of Model 3 in the middle of 2017. 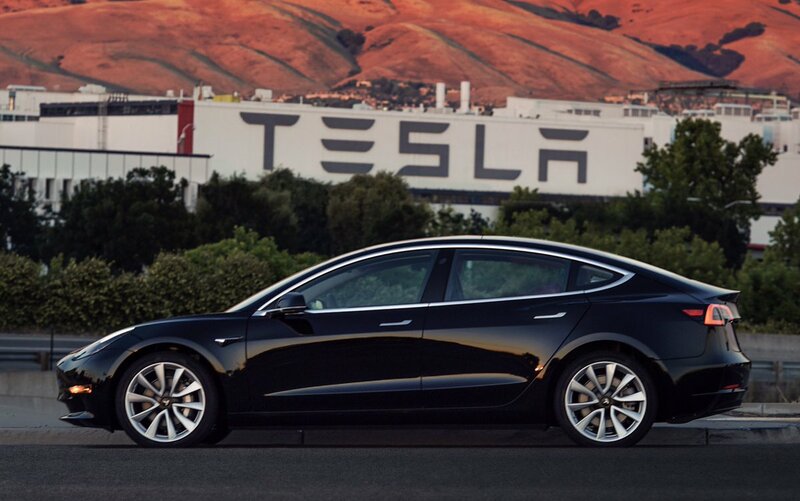 The first production vehicle, a black Model 3, rolled out of Tesla factory in Fremont on July 7, 2017. Tesla CEO Elon Musk become the first owner of a Model 3. Elon Musk becomes the owner of the first Model 3 built by Tesla. Tesla had ambitious plans to ramp up Model 3 production. According to original plans the company wanted to build 100 Model 3s in August 2017, increase production to 1,500 cars in September and reach production capacity of 20,000 units per month by December 2017. Tesla failed to reach its exponential growth plans, building just 260 Model 3s during the third quarter of 2017, between July-18 and September-18, they built way less than the 1,600 units the company wanted to build. 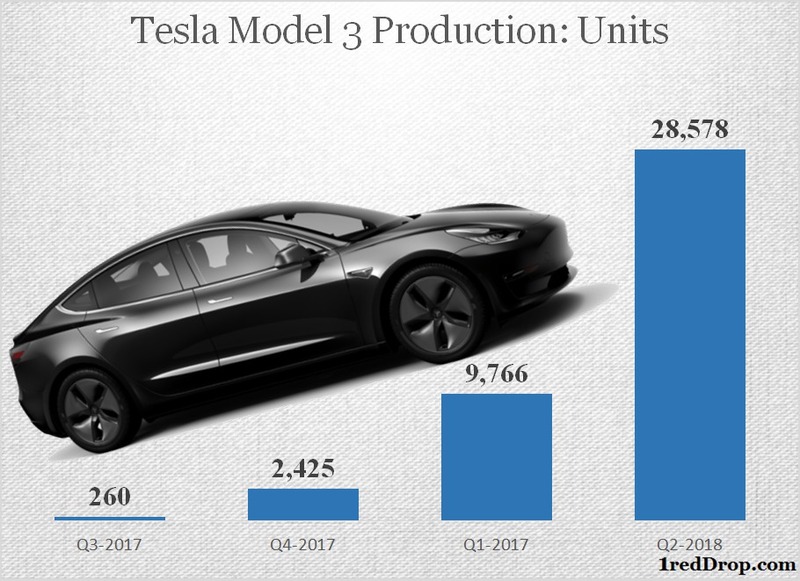 Tesla’s production struggles continued during the fourth quarter of 2017; between October and December, they built 2,425 Model 3s for the quarter (Q4). Tesla reported that in the last seven working days of December, the company built 793 Model 3s. Tesla blamed manufacturing bottlenecks for the slowdown. In its fourth quarter 2017 letter to shareholders, the company cited battery production issues at the Gigafactory as one of the reasons for the delay in production. Tesla subsequently lowered its production estimates, and the company announced that it will “target weekly Model 3 production rates of 2,500 by the end of Q1 and 5,000 by the end of Q2”. 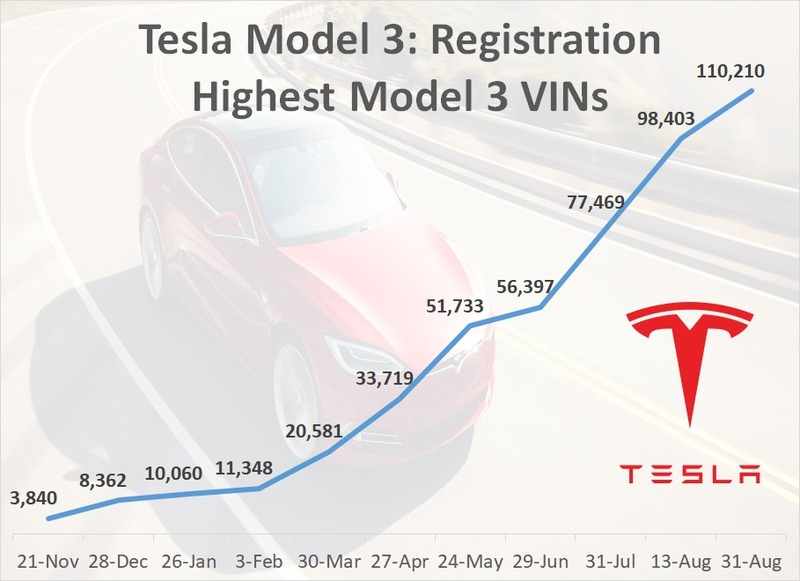 In the last seven days of the first quarter and second quarters of 2018 Tesla produced 2,020 and 5,031 Model 3 vehicles, getting close to its target for the first quarter and achieving its target during the second quarter. In the Q2 update to investors, Tesla said that it had overcome “bottlenecks across various stages of the Model 3 manufacturing process.” The key takeaway from Q2 was that GA3 issues had to be dealt with on priority. The company specifically pointed to the density of lifter robots and their high downtimes as being a constraint to ramping GA3 production to the 5,000 Model 3s a week level. To address the short-term issues with GA3, we built GA4 to help us reach our 5,000 units per week target earlier and ultimately to push us past that point. We were able to build GA4 quickly due to the designed simplicity of the Model 3 architecture. The layout and processes of GA4 are similar to those of the Model S and X assembly line, while quality and cost of production are roughly equal to those of GA3. General assembly, excluding the cost of components, accounts for approximately 3% of Model 3 cost. The rest of our manufacturing processes remain highly automated, including stamping, body-welding, paint shop, powertrain assembly and battery pack assembly. 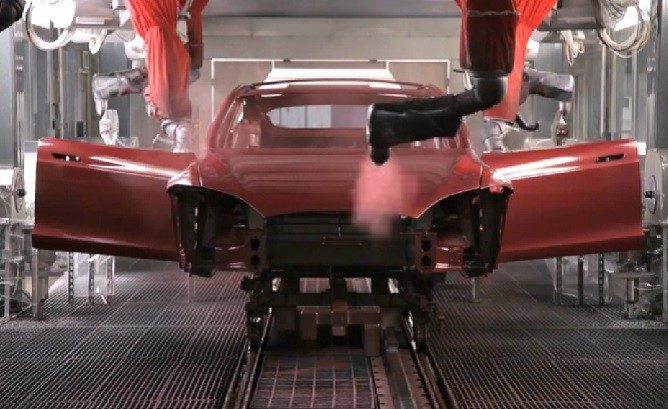 After achieving its 5,000 Model 3s per week target, Tesla wanted to increase production to 6,000 units per week by the end of August and keep increasing production to 10,000 cars/week as quickly as possible. Tesla produced 53,339 vehicles in the second quarter, delivering 22,319 Model S and Model X vehicles, and 18,449 Model 3 vehicles. A total of 40,768 deliveries were made. In a July 2 news release, Tesla broke down delivery numbers for Q2. Tesla expects to produce 50,000 to 55,000 Model 3 vehicles in the third quarter of 2018, an increase of 75% to 92% when compared to previous quarter. Significant additional time spent on quality checks could cause another bottleneck in the production line, but efficiencies identified over the past several quarters could compensate and more than make up for that slowdown, in terms of production as well as quality assessments. Looking forward, Tesla has delayed the 10,000 Model 3s per week target to early 2019 because of supplier constraints holding back capacity increases. We expect the company is pushing its suppliers hard to reduce that time and increase their output so Tesla can meet or beat its ‘early 2019’ timeline. Even if the company is able to hit 10,000 cars a week by February or March, it will give them a big boost in Q1-19 Model 3 production numbers. At a consistent 10,000 a week level, production numbers for a given three-month period will exceed 120,000 Model 3s and take them closer to fulfilling the still-deep but slowly shallowing pool of reservation holders who haven’t yet received their cars – or even been matched to their VINs. With 18,440 Model 3 deliveries made during Q2, all eyes will be on Model 3 production and delivery numbers at the Q3 call, not to mention whether or not Tesla will be cash flow positive as guided at the beginning of the fiscal year 2018.